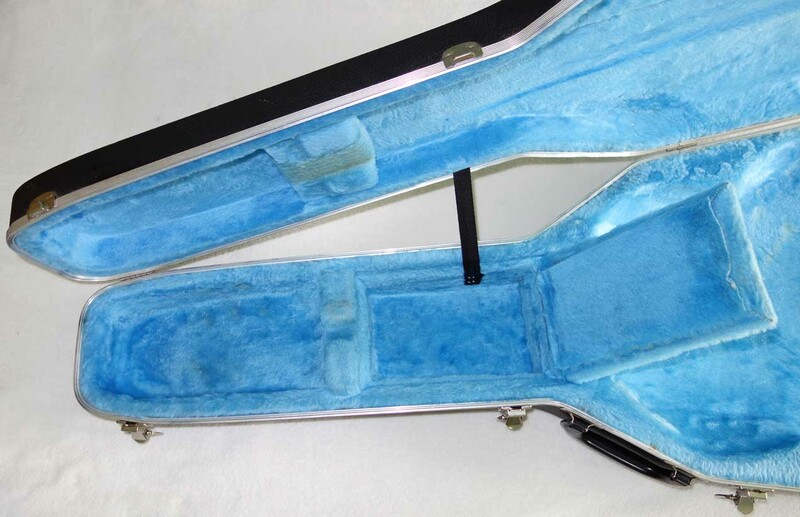 Up for sale is a used 1980s Ovation case. 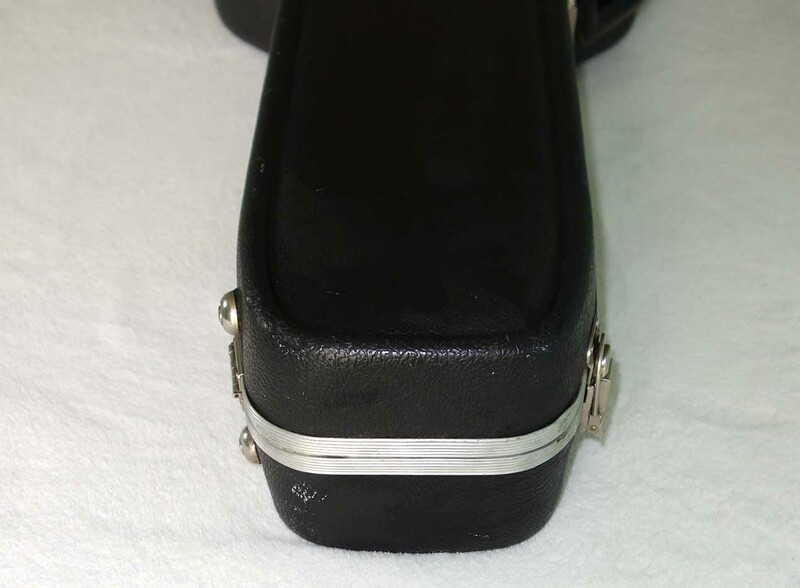 The case is in good condition, with all latches working properly. 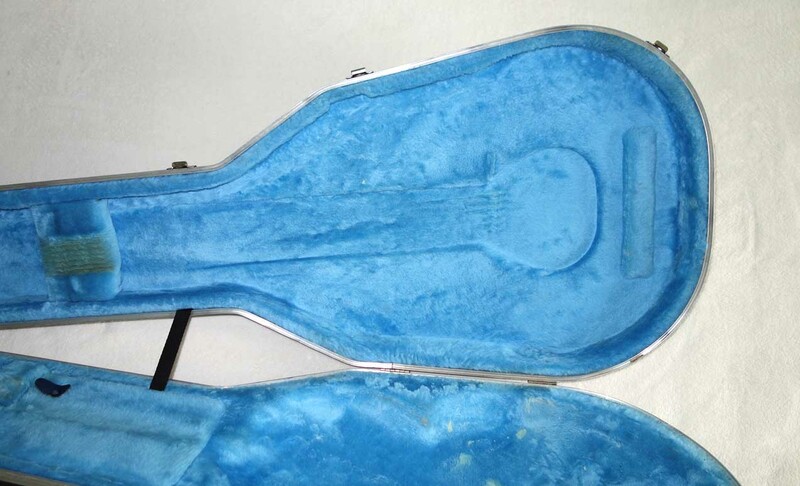 It does have some signs of gentle exterior wear, and a little discoloration on the light blue interior, which has some discoloration from older guitar strings, and in a few other spots. 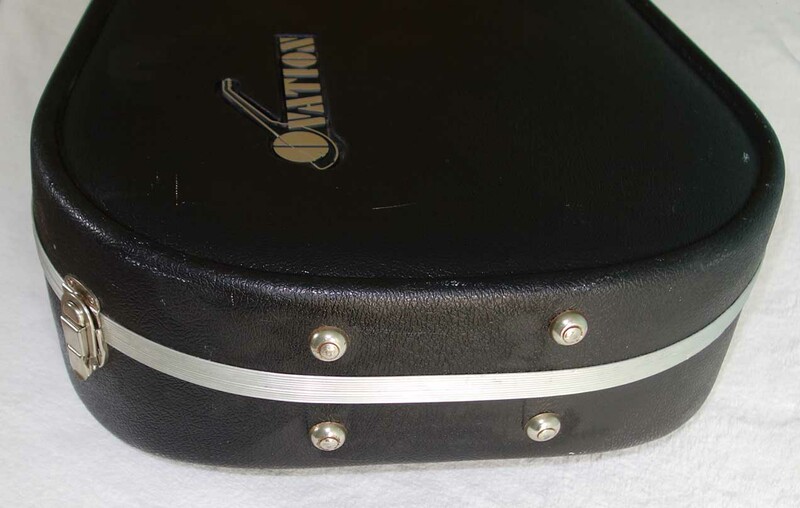 All in all, it is in good shape and makes for a very dependable and serviceable case for a vintage Ovation. 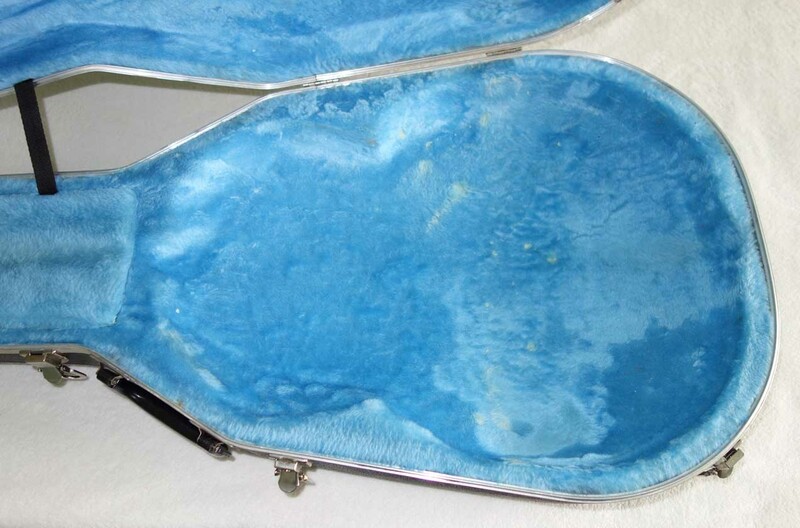 Case is sold as is, so please ask any questions beforehand. 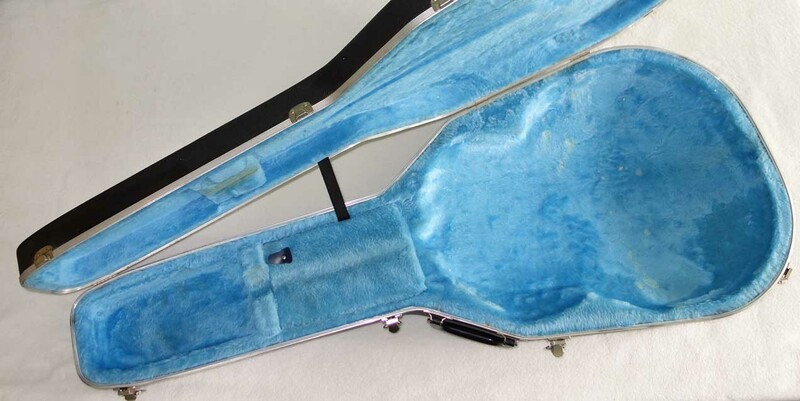 I have not myself ever owned the Ovation guitar that came with this case, but I believe this is the shallow bowl case, but I'm happy to measure any dimension to insure a proper fit for your guitar. 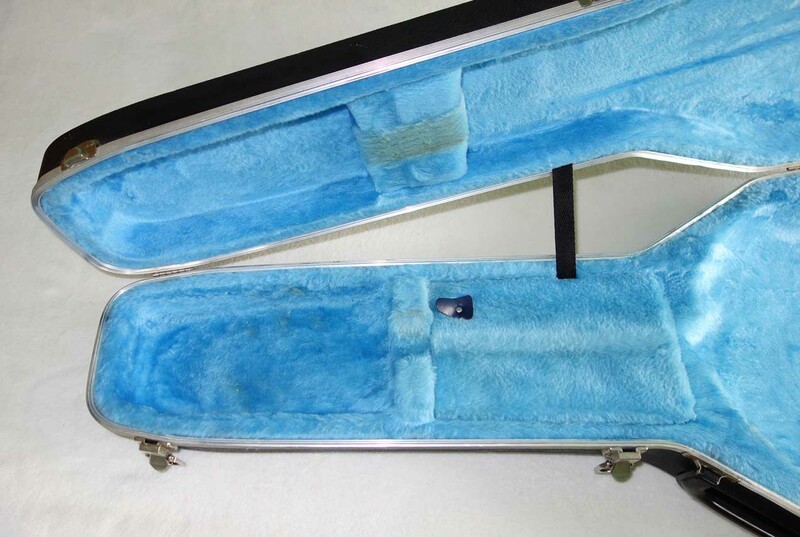 |Please check our OTHER LISTINGS for more vintage cases * IN STOCK * (scroll for * SOLD *) as well as, Gibson electrics, Pro Audio gear, Ameritage pro guitar cases -- and we are actually the world's leading maker of 10-String Classical Harp guitars, with over 500 guitars sold during the last 10+ years. Thanks for shopping with Cathedral Guitars!! !